Kombiglyze XR is a medication used to lower blood sugar in people with Type 2 diabetes. A combination of saxagliptin and metformin, Kombiglyze XR is a DPP-4-inhibitor that belongs to a class of drugs called incretin mimetics. U.S. health regulators are currently investigating a potential association between the use of saxagliptin and an increased risk of heart failure. Kombiglyze XR is marketed by AstraZeneca and Bristol-Myers Squibb. It was approved by the U.S. Food & Drug Administration (FDA) in November 2010 for the treatment of adults with Type 2 diabetes. According to its manufacturers, Kombiglyze XR is the first and only once-a-day metformin extended-release (XR) plus dipeptidyl peptidase-4 (DPP-4) inhibitor combination tablet offering strong glycemic control across glycosylated hemoglobin levels (HbA1c), fasting plasma glucose (FPG) and post-prandial glucose (PPG). Certain conditions, such as sepsis, dehydration, excess alcohol intake, hepatic impairment, renal impairment, and acute congestive heart failure, can increase the risk of lactic acidosis among Kombiglyze XR patients. It is unknown whether patients with a history of pancreatitis are at an increased risk for the development of pancreatitis while using Kombiglyze XR. 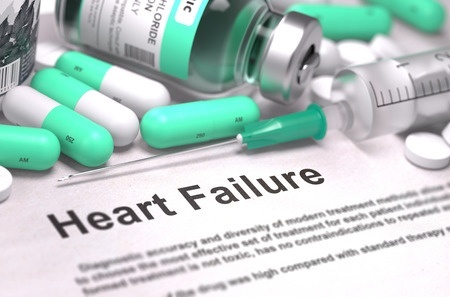 April 2015: An FDA advisory panel overwhelmingly recommended that information regarding a potential increased risk of heart failure be added to the labels of saxagliptin-containing medications, including Onglyza and Kombiglyze XR. While the FDA is not required to follow the recommendations of its advisory panels, it usually does so. February 2014: The FDA announced a safety review of saxagliptin, one of the active ingredients in Kombiglyze XR, and an increased risk of heart failure. The agency acted after a large clinical trial suggested that patients taking saxagliptin were 27% more likely to be hospitalized as a result of this complication. In 2013, the FDA announced that it would be reviewing all incretin mimetic Type 2 diabetes drugs after a small study suggested the medications might be associated with precancerous changes in the cells of the pancreas. While the agency has so far been unable to conclude that the incretin mimetics cause pancreatic cancer, its review is ongoing.